With its graceful curves, the Fluval Vicenza bow-fronted aquariums add a beautiful dimension to flat walls. Designed to enhance modern decor with a choice of finishes to coordinate with today's look. 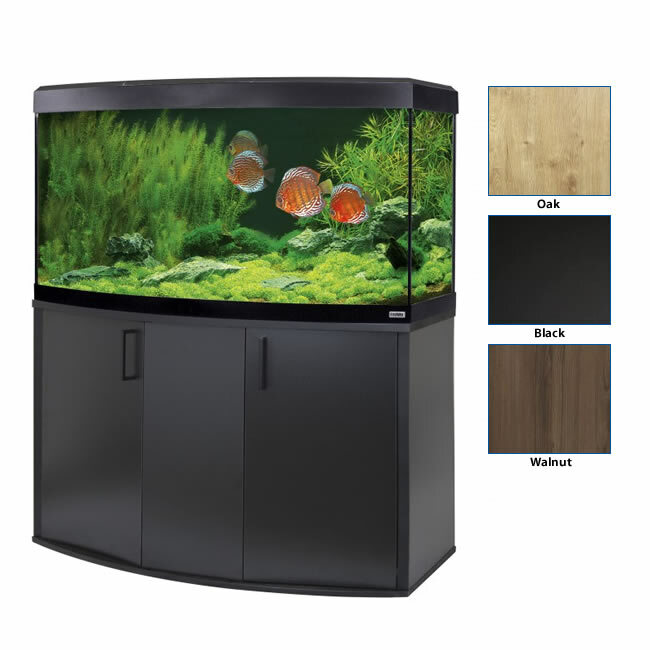 The aquarium and cabinet set can be used to enhance any interior, acting as a focal point to be admired by guests and family members all year through. The Fluval Vicenza brings quality and beauty to the forefront of the design, incorporating the fun and vibrancy of an extraordinary underwater world, into a modern design. The range of Fluval Vicenza aquariums now boast exquisite LED lighting too!